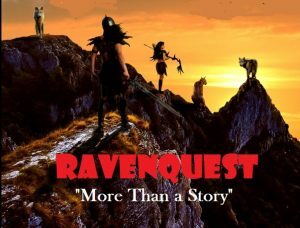 RAVENQUEST has been and continues to be such a journey for me. It has given me the opportunity to project in a creative way into our world a vision of a world where all creatures live in peace and harmony with one another. Yes, there are villains along the way but throughout this exciting story the reader senses an overarching philosophy that we are more alike than different and that we all have gifts to share with our world. What a world we would have if everyone were respected equally. 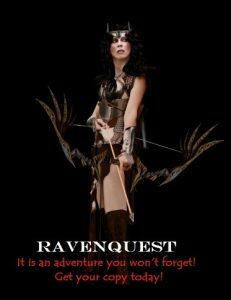 My desire with this project is to raise the funds to get this message out by publishing my books on a larger scale than self publishing I have done so far. To create a community where this philosophy can be encouraged. I need the funds to promote this message into the world by written word, T-shirts, action figures and one day a movie!..whatever it takes to draw people into this world so that this message may carry over into the real world.